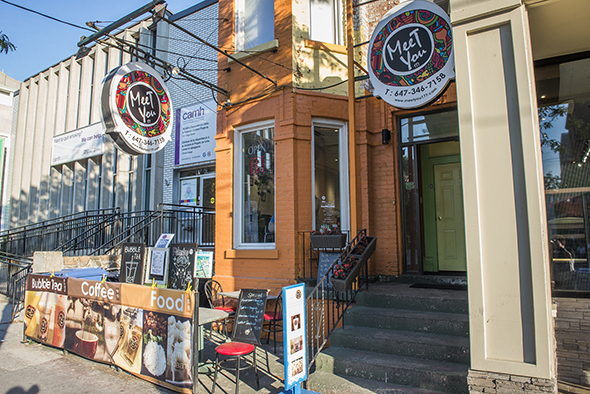 MeeT You 177 is where to go for bubble tea and Chinese food steps from U of T. The bubble teas here aren't the most artisanal, but they get the job done. 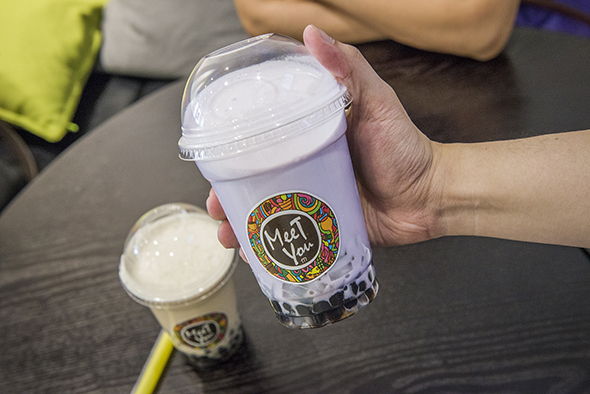 Both the Taro Milk Tea and Hazelnut Milk Tea ($4.25 each) are powder-based, but the flavours are smooth and satisfying, and the glut of high-quality toppings like tapioca, grass jelly, and coconut jelly (50 cents each) make the drink a winner. 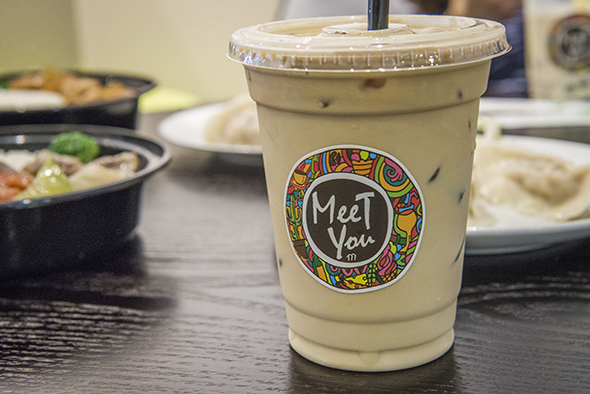 The Iced Latte ($3.85) is a more standard drink from their coffee menu. It could be slightly creamier. 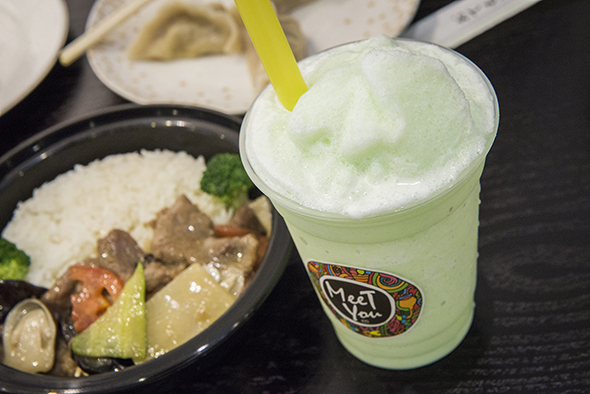 On hot days, a drink like the Honeydew Slushie ($4.35) might do the trick. The drink is immensely satisfying, if a tad sweet. 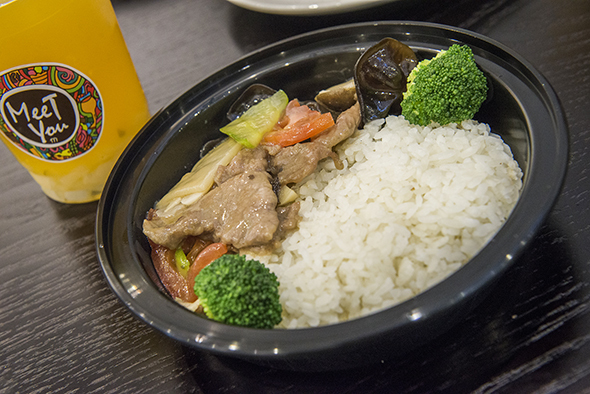 From the food menu, the Beef with Vegetables ($10.99) is tender, and comes with bamboo shoots and mushrooms that give it a nice crunch. The flavours are subtle but satisfying. 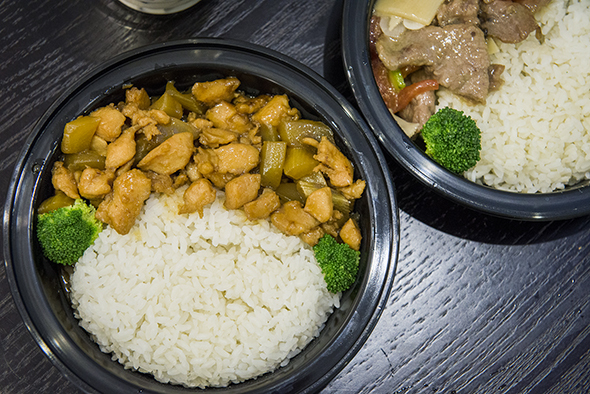 My favourite dish might be the Kung Pao Chicken ($10.99) with a fantastic Szechuan peppercorn sauce. There are also four types of homemade dumplings - shrimp and pork, spicy pork (my personal recommendation), veggies, and pork and cabbage. 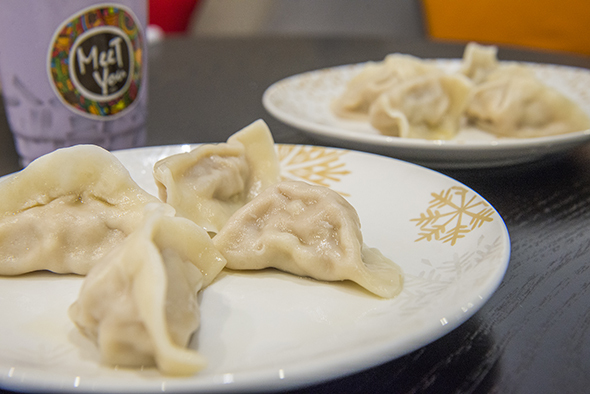 They remind me of the soup-like dumplings xiaolongbao as they're packed with juiciness and flavour. 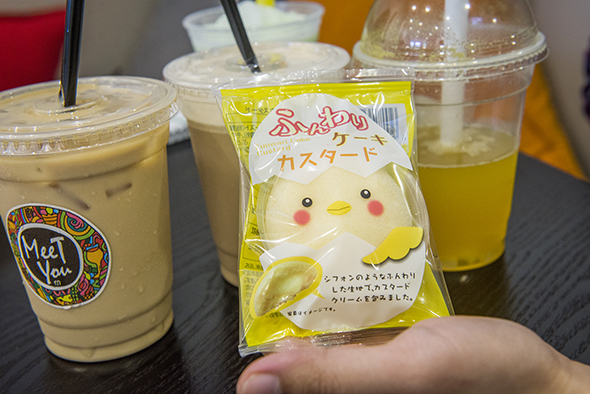 For dessert or just a sweet treat there's the Funwari Japanese Custard Cake ($3.49) which doesn't quite live up to expectations. I would have liked the custard to have more flavour. 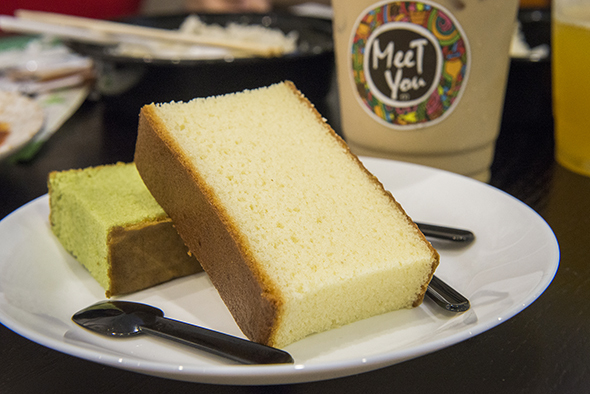 A much better option is the Honey Cake ($1.99) with comes in pineapple and matcha flavours. They're both soft and have the right amount of sweetness. Posted by Darren "DKLo" Susilo. When not writing for blogTO he can usually be found tweeting here or delaying mealtimes indefinitely by posting pictures here . Photos by Hector Vasquez.